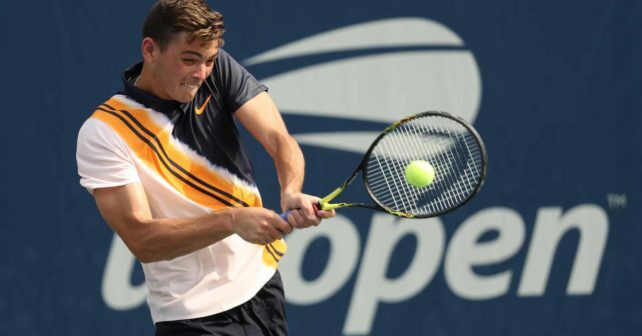 I watched Taylor Fritz fight hard to win a five-setter against Mischa Zverev at the US Open and I could not help but notice his tennis racquet. 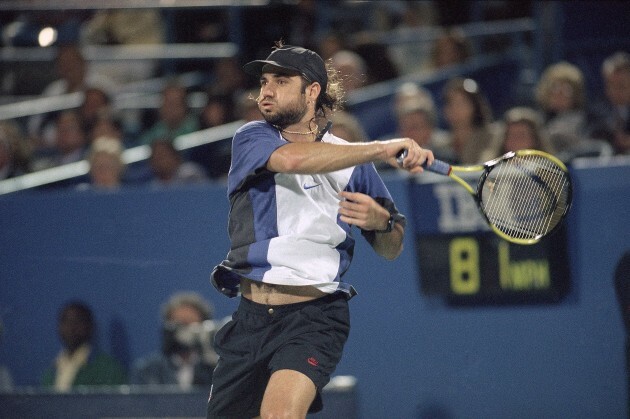 Fritz is using an older HEAD racquet with the pro stock code 260.3, but the paint job at the US Open is likely a HEAD Graphene Touch Radical Limited Edition. I am not sure that the HEAD Graphene Touch Radical Limited Edition exists, but that would be my relatively educated guess based on what it really could be. 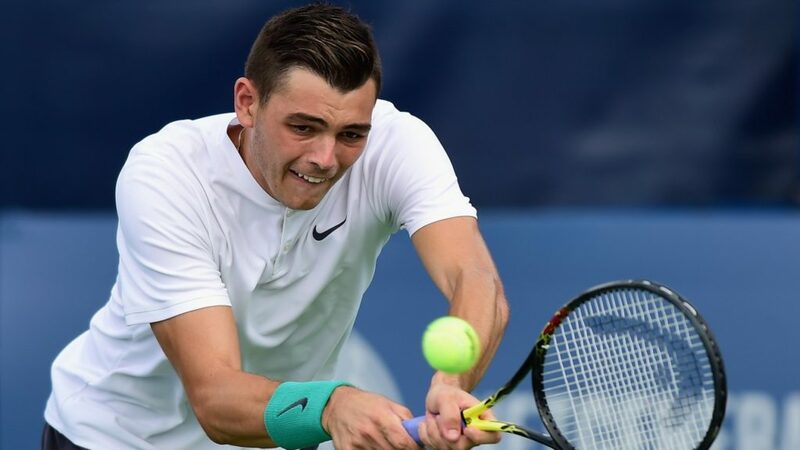 It is definitely not time yet for the HEAD Graphene Touch Radical racquets to be upgraded to HEAD Graphene 360 (I bet that will happen next year) but the paint job that Taylor Fritz is using seems more like an homage to the great Andre Agassi and his Radical bumblebee paint job. If that is the case it seems like HEAD might have undersold this nice idea. I have seen no marketing at all for a Radical Limited edition paint job and I think the homage idea makes a lot of sense, especially for an American player. But maybe I have missed something here? HEAD Graphene Touch Radical Limited Edition – Only made for Taylor Fritz? The notion that a HEAD Graphene Touch Radical Limited edition racquet would be made only for Taylor Fritz seems a bit far-fetched, but he is the only player I have seen sporting the paint job. Fritz is a talented player but has had a tough time on tour of late. He is only 21 years old so there is time to grow into high expectations however. The way he fought back against Mischa Zverev yesterday was definitely a positive sign for him to build on. HEAD posted this picture on their Instagram account, where they announced a giveaway of products via their Instagram stories, so maybe more information will be unveiled in the coming days. What do you think of the design of what could likely be a HEAD Graphene Touch Radical Limited Edition racquet? Please comment below! Hi, just watching samantha stosur today, and she seems playing With the same paintjob than fritz. Am I right? Hey Jonas, thanks for the article on the new radical paintjob. I am really loving your work on this site and how you are able to dissect Pro gear and racquets. I was a current user of the radical for the past 5 years and recently switched to the babolat aero VS. However, the wood pallets in the handle kept on braking and I’ve been through multiple of those racquets and are fead up of it. I switched back to my head graphene xt radical MP, which I modified with lead. 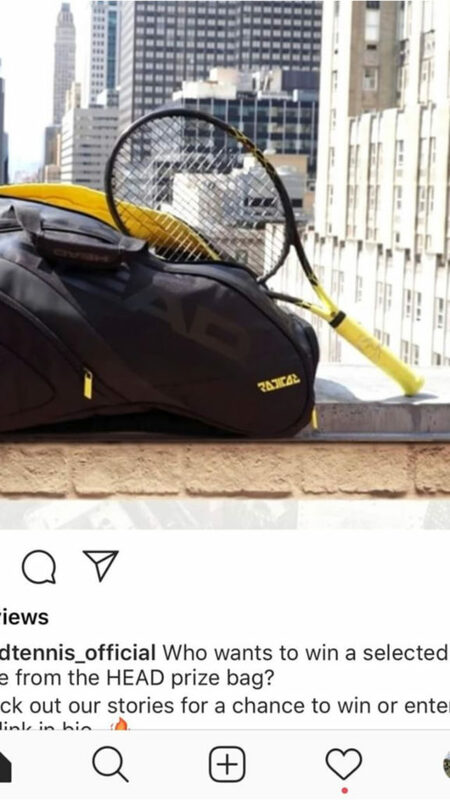 I am a current junior player who is playing ITFs and would like to know your opinion on Babolat’s manufacturing. I liked the aero VS but since I’m on a budget, but Head for me has always been the most solid in terms of manufacturing. Would love to hear your thoughts and opinions. I could see them breaking it out the new Radical 360 for either next gen finals or around the AO 2018. The Radical always seems to be the last to get the new tech treatment. Also heard a rumor they could end the instinct line but will believe that when I see it. I think it would make sense to kill off the Instinct line. It is not very popular and the specs are too close to other HEAD racquets.